If you have solar panels on your home or business, you are already aware of the saving and efficiency of these great products. 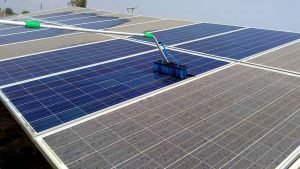 Solar panel cleaning is a must to keep the energy flowing according to plan. The dirtier a solar panel becomes, the less efficient it becomes, which can cost you money in the long run. Living in the Cypress area, you already know that this area is a cesspool for mold, mildew, and moss growth due to our high humidity. They can grow on any surface that hold moisture. This includes the solar panels on your home or business. 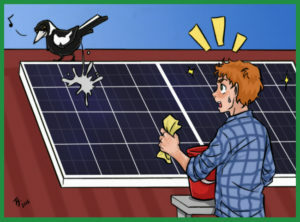 Another issue with solar panels, is the attraction of birds. And with the presence of birds, comes bird droppings. Bird droppings can also compromise the efficiency of your system. With the costs of a solar panel system, it is important to keep the panels clean to gain your investment back. If you have dirty solar panels, you could be loosing up to 30% efficiency out of your system. Over time that can reduce much of your savings by using solar power. 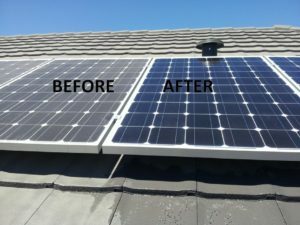 Performing solar panel cleaning is the best way to keep your solar power system performing it’s best, as well as receiving the maximum lifespan out of your solar panels. Along with keeping your solar panels clean, it’s a good idea to have your roof shingles cleaned as well. Having clean roof shingles, as a result, will keep your solar panels cleaner for a longer period of time. 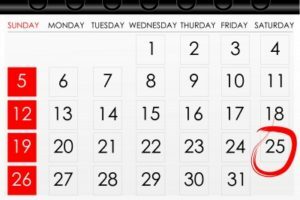 For more information on roof shingle cleaning, please visit our roof cleaning page. When cleaning solar panels, great care must be taken. Performing solar panel cleaning on a hot day can damage your solar panels if not performed correctly. The protective glass can break if going from hot to cold immediately. When performing solar panel cleaning, we use only non caustic chemicals and a triple filtered water system to make sure your panels are cleaned to perfection. Using a triple filtered water system will leave your panels streak and spot free. Results will be seen immediately after your panels are cleaned. Just like any other surface, solar panels can become soiled as well. When we say soiled, we mean that the panels can become caked with debris, like dust, mold, mildew, bird dropping, or many other obstacles that can block the sunlight from reaching the cells of the solar panel. This “Soiling” can produce power loss. A study that was performed shows that if solar panels are not cleaned on a regular basis, depending on the area you live, that up to 30% power loss can be achieved. To see this study, please click here to read more. Our recommendation is that solar panels should be cleaned on an annual basis. There are many recommendations, due to the many studies that are out there. Some recommend cleaning your solar panels annually, quarterly, monthly, and more. The more research you do, the more recommendations you’ll find. We recommended to clean your solar panels on an annual basis along with the pressure washing of your property as a preventative maintenance, or whenever the solar panels look dirty. Think You Can Clean Them Yourself? As always, Cypress Pressure Washing recommends letting the professionals clean your property. 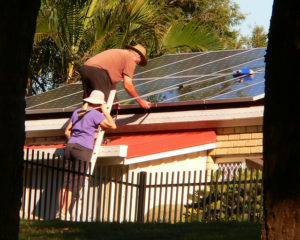 With the possibility of damaging your solar panels, or worse, yourself, it’s best to leave it to someone with experience. The emergency room bill will be much larger than the cost to having it done professionally. Looking To Purchase Solar Panels? If solar panels are in your future, please visit this great website for more information. www.solar-estimate.org This website will show you the pros and cons of the solar panel industry, and all the State and local incentives. 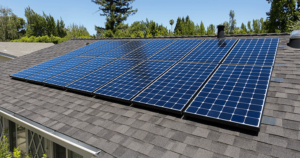 They also provide free estimates for installing a solar power system. Please complete the form below, and we will have an estimate emailed to you within 24 hours.